Stop in Mr. Rib’s Family Restaurant for breakfast, lunch, or dinner. All our sauces are made in-house! Start your day with an omelet, French toast, waffles, eggs benedict, poutine, or many other morning favorites. 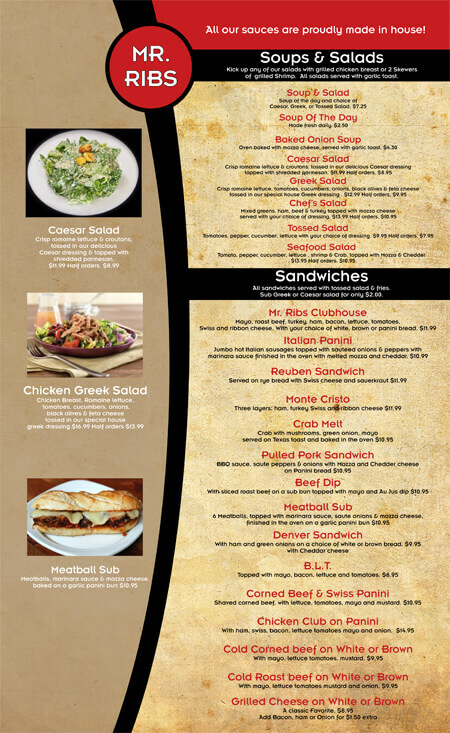 Lunch features soups, salads, sandwiches, burgers, and pasta. Try one of our entrees such as Chicken Cordon Bleu. We also have pizzas and wings. For dinner, kick off your evening with a tasty appetizer, such as our Mushroom Neptune. You can also enjoy soups, pasta, sandwiches, burgers, seafood, ribs, or steaks. 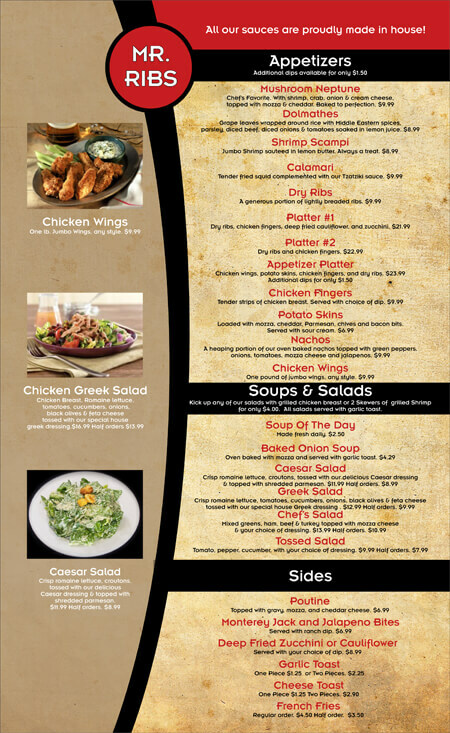 Check out our full menu of delicious options below. 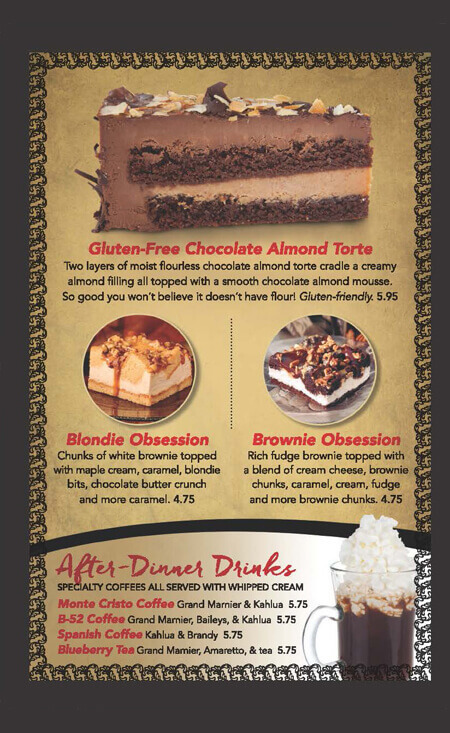 Click on the image to view the full menu.